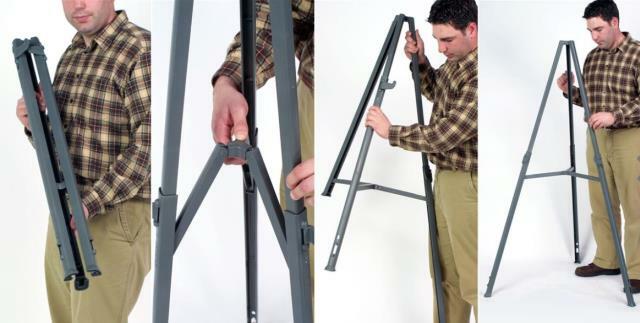 This portable easel weighs less than 3 lbs. but can hold up to 25 lbs! 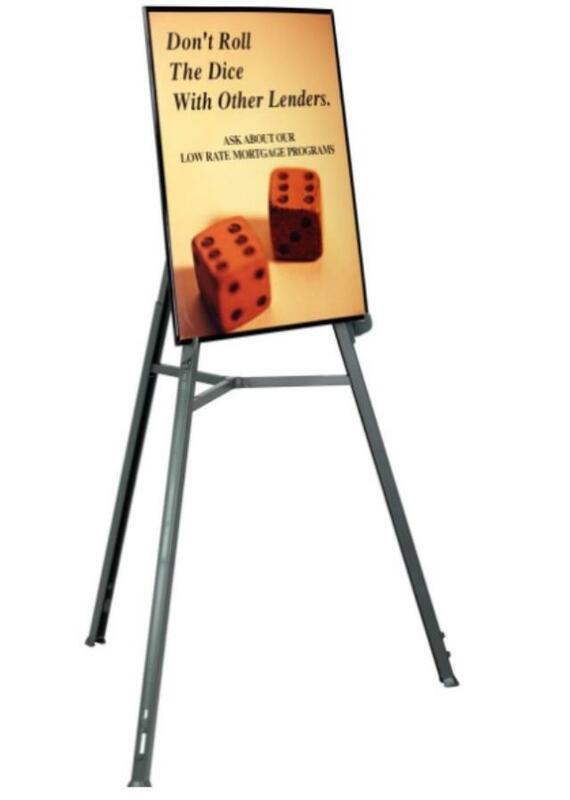 The retractable leg design allows users to set this stand at 37" high as a countertop unit or at 62" high as a floorstanding model.